Now is the time to have your furnace repair in Eden completed before the cold weather rolls in this year so you can stay warm and toasty all winter long. All too often home owners forget to have their furnace checked before the cold weather sets in. As luck would have it, on the coldest night of the year is the same night their heater dies. This scenario can be prevented by having your furnace repair completed, if needed, or prevented by performing an annual maintenance check now. Most home owners fail to recognize all the different furnace components that need to be serviced or checked on a yearly basis. 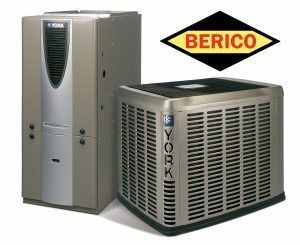 In fact, most warranties for the most popular furnaces include a statement that voids the warranty caused by improper maintenance. Having your heating unit or furnace checked on a regular basis really is important. It is sort of like changing the oil in your car, a simple thing – yet, extremely important as the oil lubricates all the major parts of the motor. After a certain amount of miles the oil breaks down, the parts are lubricated inefficiently and this causes other engine components to go bad quicker. Furnaces typically use either propane gas or oil to produce heat. The burning of these substances produce carbon monoxide. While your plants may love it (they actually filter the carbon monoxide out of the air), it is deadly to humans. Typically, the amount of carbon monoxide emitted from your heating unit is minimal and eliminated through the furnace ventilation system. However, if there are cracks in the ventilation system, or the furnace is dirty, carbon monoxide can increase and leak into your home. Additionally, today’s homes are super-insulated, which is great for keeping the cold weather out and the heat in. However, the downside is that an airtight environment creates an ideal environment for buildup of carbon monoxide. Having your furnace checked annually and any heating repair performed promptly protects you and your family from dangers of this silent and harmful gas. Although generating heat is complex, in simple terms, warm air is generated by burning some type of substance (oil or propane gas). In order to operate efficiently, the proper mixture of all these ingredients (air, oil, or propane gas) must be monitored. When a technician comes out to check your furnace, this mixture is checked to ensure that the burn is efficient plus he checks the burners to ensure proper ignition and burner flame. Additionally, the technician checks to make sure there are no leak or blockage in the ventilation system and to make sure that the wiring is not corroded or damaged. Don’t delay in having your furnace repair in Eden completed today. Carolina Fuels services the Eden and Reidsville areas. Call us today at (336) 496-2509 to schedule a check-up before the cold weather arrives.